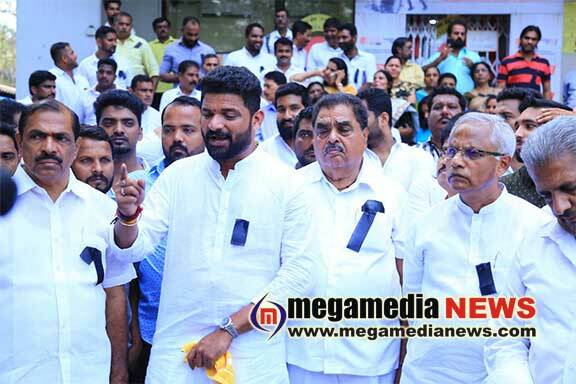 Mangaluru : Congress workers and party leaders observed a ‘Black Day’ against the merger of Vijaya Bank in front of the Vijaya Bank Mallikatte branch on Monday. Addressing the protesters,Congress candidate from Dakshina Kannada Lok Sabha constituency Mithun Rai said Vijaya Bank was a victim of dictatorship. The protesters wore black badges.